The room was a good size, nice with a wardrobe area. The bathroom had a jacuzzi. It was clean and nice. There was a fully stocked bar, even though we did not use it. The staff were very courteous and friendly. Although we only stayed one night and it was a good experience. bed was comfortable, room was clean nice deep tub great to soak in. I liked the location of the hotel, despite the construction. Close to major bus lines, stores and restaurants. Lots of walkable places to shop and eat. Had a great view of the city/water from my room. The free wine tastings every evening was a nice bonus. the room is small, but with everything inside. so it is OK. It is near the beach, not far away the downtown. -Nice cozy appartment. -Close to the center and water front. -Safe parking. -Amazing stuff. -Free bikes if any left. -Dog friendly. Staff was very much friendly and went out their way to assist us. Great location for the price. Pet friendly which was great. Staff was very helpful and friendly. The staff was friendly and helpful. Bed linens were great. Executive Hotel Vintage Park This rating is a reflection of how the property compares to the industry standard when it comes to price, facilities and services available. It's based on a self-evaluation by the property. Use this rating to help choose your stay! 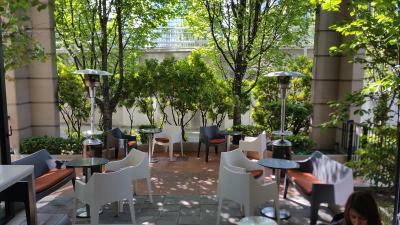 In downtown Vancouver, this wine-themed hotel is just a 2-minute walk from the seawall. It features free WiFi throughout the hotel and 42" LCD TVs in all guest rooms. A free evening wine tasting featuring local wineries is held at Executive Hotel Vintage Park from Monday to Saturday. The elegant La Vallee restaurant is open for breakfast. A minibar, a fridge and a Keurig coffee machine are provided in every room at Vintage Park Hotel. The rooms feature warm colors, and provide an iPod dock and work desk. High speed internet is also available. The hot tub and terrace are just two lounging options at this hotel. A fitness center is provided, and a tour desk with area information and ticket services is on site. Free bottled spring water is provided. Robson Street and Yaletown are a 12-minute walk away. Granville Island is 1.9 miles from Executive Hotel Vintage Park. When would you like to stay at Executive Hotel Vintage Park? This room has an iPod docking station and flat-screen TV. Private parking is available at a location nearby (reservation is not needed) and costs CAD 30 per day. This double room features an iPod docking station, air conditioning and CD player. Stay in the heart of the city while enjoying the comforts of home. Executive Hotel Vintage Park offers guests furnished suites which feature updated bathrooms, flatscreen TVs, Keurig coffee machines and a fully stocked bar bridge. 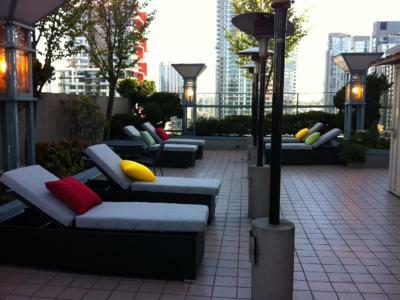 Head to the 9th floor sun deck and enjoy spectacular views of the city or a dip in the hot tub. We look forward to welcoming you! House Rules Executive Hotel Vintage Park takes special requests – add in the next step! Executive Hotel Vintage Park accepts these cards and reserves the right to temporarily hold an amount prior to arrival. All the staff were friendly and very helpful. The Breakfast was delicious. The Location was perfect for me as it was easy to get around the city. The cooked parts of the breakfast weren't good at all with a lot of things that had run out. The style in which the food was cooked had an unusual taste. We wouldn't have minded if it was included in the price but we paid extra for our breakfast. There is not much more I would have asked for, the service was exceptional. This place exceeded my expectations by far. The room was small but felt huge because of the windows and the view of the city and False creek. We enjoyed the roof top terrace and hot tub very much. The staff was so helpful and the nightly wine tasting was a nice touch. We were there to explore and enjoy vancouver on foot and this was a great place to base out of. There was an extra $30 charge for parking and I regretting coming to this hotel since there were other hotels in Vancouver with parking included on booking.com. My partner wanted to go to another hotel but I was too tired already.There was no free wine tasting offered in the evening as description said on website, went to buy our own wine. There was a fire alarm at 9:30 am Sunday morning, we had to leave our room and belonging, which ruined our morning peace, front desk have not even tried to apologize for it when I checked out, Is it normal for them to empty the entire hotel on Sunday morning ? Left hotel with car and roads were blocked from both sides when we were coming back due to construction loading right next door. Bed made my lower back hurt. It was very unpleasant our stay, would pick another hotel without a doubt. Construction was going on and you could not get to the motel. It would have been nice if they could have sent us an email telling us how to get to them. Spent over 45 min driving in circles. Middle of the night a terrible smell woke us up had to open the windows to get fresh air in. Charged for parking, really!!!!! Hot tub was very dirty. Location has tons of construction going on. That the bathroom sink need to be plunged.. Gound it didn’t drain well!! Too much hair in drain! !